English Bulgin F 415 S Panel. Want to add a Quality unobtrusive fuse-holder to your audio kit?. Lastly to make life even more easy the holders are nut-fit into the chassis. Also, just in case it matters they are matt black faced and the helpful information 'FUSE' printed on it, just in case. . . ! Sansui AU- 7900 amplifier. Good condition.straight, no rust, no paint loss. Value 56k 5%. Each buy it now is for 25 Pieces. You push them into place, but my guess is once they are fitted they will be difficult to remove. Order more than one, and if you live in the. Get what you want when you want it, for reasonable prices. Vox Brass Vent. Made from thin sheet brass. My internet access may occasionally be limited. Apologies for any inconvenience. HAFLER (HITACHI) 2SK176 N-Channel MOSFETs -- Rare 90s NOS. Part #s: QN113, SSH-607. The "real deal" Hafler output N-channel MOSFET. As used on Hafler's DH500/P500/P505/PRO5000/XL600 amplifiers. A truly RARE long-out-of-production part. EYV series (DIN 41238 ). Roederstein EYV series "for natural tone and pure sound". Roederstein EYV series "f or natural tone and pure sound". manufacturer: Roederstein ROE ,made in Germany. ROE DERSTEIN. Serious Hi Fi Builder? NOS 10 Metres Raybraid Interference Screening Braiding. Serious HiFi Builder?. Ideal for screening bundles of cables. Avoid noise and hum. 100% optical coverage. Get what you want when you want it, for reasonable prices. Cheap Looking & Tatty Amplifier ?. Get what you want when you want it, for reasonable prices. I don't want them back !! Matched pair of 5R4GB/GY Full-wave rectifiers by Ge. Valve Amp?. Order more than one (in the UK) and the others go free. If you are into proper Hi-Fi, build, or service your own then. . you should see our other stuff ! REPLACEMENT MAGIC EYE VU METER 6E1 (EM87) FOR FATMAN VALVE AMPLIFIER Amplifier/Receiver Manufacturer: ALL AMLIFIERS WITH 6E2 Model: FATMAN ETC Description: A 6E2 (EM87) 'Magic Eye' VU Indicator – a bench-tested direct replacement for all Fatman Models such as Carbon, Wi, iTube etc. and all amps that use the 6E1 Indicator Country of Manufacture China Year of Manufacture Various Life expectancy: 2000hrs Valves included: 1 Fully tested Using: Accurate Instruments Model 157 Valve Tester Note: We are a UK Seller. Fast Delivery, No import Duties, No lengthy returns, fully tested item. Professional UK Based Seller, 100% Return Guarantee! This valves is pre-burnt in, however, please allow 20hrs running in time for full benefit. You may hear some pops and hiss at first, this is normal and they will usually settle down quite quickly. Single top O getter. Glass is clear, lettering is strong, base is tight and flashing is bright. An excellent addition to anyone's collection. Two Pieces RBS Silver Mica Capacitor. All parts have been checked and are within tolerance. Amplifier Constructor ?. Get what you want when you want it, for reasonable prices. Order more than one (in the UK) and the others go free. Nice Quality and would look great in any valve amplifier. If you are into proper Hi-Fi, build, or service your own then. . you should see our other stuff ! Get what you want when you want it, for reasonable prices. Audio Amp?. You are buying a Used ?. Fully screened and ready to use. If you are into proper Hi-Fi, build, or service your own then. . you should see our other stuff ! Vintage Valve Amplifier ? Pre-amp ? 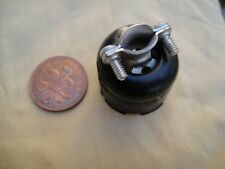 NOS 2, 3, 4 & 5 Pin Paxolin Plug Cover. Why settle for a tatty looking Paxolin plug with wires dangling out of it when you can have the correct cover for it. NOS 2, 3, 4 & 5 Pin Plug Cover. Why do you need them, well they stop you pulling the leads out of the plug when you are trying to remove the plug from the socket, so they are a vital tool and a very hard restoration piece to find, ideal for valve amp rebuilds and preamp rebuilds. CTS 10k Pot. Original Fender part # 0017502000. Supplied with mounting washer nut and nut. Four Pieces RS Components Silver Mica Capacitors. Lead spacing 6.6mm. Now you can have a stylish iPreamp with ultra-white knobs, and a black spot for position indication. the nice large size and coarse fluting gives a nice grip that is easy to use. You can wire two of them in place of a 12ax7 without changing component values. Order more than one pair and In The UK, the others go free. Get what you want when you want it, for reasonable prices. Up to 80V 7.5A 117W - Incredible. Value 2K7 5%. The buy it now is for 7 Pieces. ORIGINALLY A AMPLIFIER FOR A FILM PROJECTOR. 1930’S AMPLIFIER BASE. Sorry for the inconvenience. The tube which is manufactured by U.S. A. NOK. CO., LTD and this tube is a kind of very famous Hi-Fi level preamp in vacuum tube Hi-Fi industry. Price is for each tube. Audio Amp?. Rendar are part of the highly reputable Wayne Kerr PLC group. Valve Amplifier ?. NOS RCA / TOBE 1µF 400V Block Capacitor. You are buying a 1µF 400V Block Capacitor and its chassis clamp (no nuts for the clamp), manufactured in the mid 1950's by TOBE for RCA. You are buying the capacitor and clamp, not the box. Audio Amp?. Interference?. 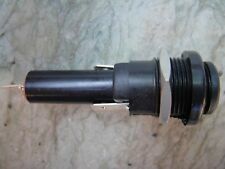 NOS Small Maple 1 Amp 250V Wire Ended Mains Filter. and ready to use, probably simple to fit as it takes up little more room than a tubular capacitor. If you are into proper Hi-Fi, build, or service your own then. . you should see our other stuff ! Valve Amplifier ?. NOS General Electric 1µF 600V Block Capacitor. You are buying a 1µF 600V Block Capacitor and its chassis clamp, manufactured by General Electric. Hard to find in a small format and ideal for valve amplifiers. Serious Hi Fi Builder?. Ideal for screening bundles of cables. Avoid noise and hum. Get what you want when you want it, for reasonable prices. Order more than one, and if you live in the. • Provides EMC screen for wires and cables. 1970's Spun Aluminium Knob A. The knob is push-fit on a 'D' shaft. High Power Valve Amp?. NOS Ceramic UX5 Valve Socket For 807, 814 etc. If you are into proper Hi-Fi, build, or service your own then. . you should see our other stuff ! Get what you want when you want it, for reasonable prices. Darlington NPN Transistors. Order more than one pair and In The UK, the others go free. Valve Amp?. NOS, Mullard, Blue, PCB Mount, 0.015 µ F 250V Capacitor. The capacitor is PCB Mount and dates back to the 1960's. Being matt blue, they look a little grubby in close up but will wash up if you are fastidious. If you are into proper Hi-Fi, build, or service your own then. . you should see our other stuff ! Get what you want when you want it, for reasonable prices. Note these resistors are PCB fixing. Get what you want when you want it, for reasonable prices. 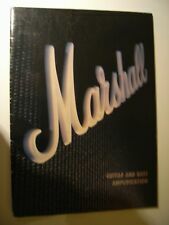 If you are into proper Hi-Fi, build, or service your own then. . you should see our other stuff ! Here is a matched pair of 6N7GT Not to be confused with 6SN7GT these are paired power trodes and are widely used as headphone amplifiers etc.